When I was first contacted to review these CEP No-Show Compression Socks, I wondered... how could a compression sock be no-show??? 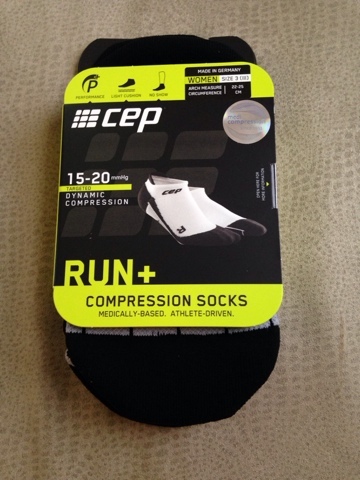 Years ago, I purchased the CEP Compression Sleeves, and to this day, they are pretty much my go-to compression gear with the best tightness without being too tight. 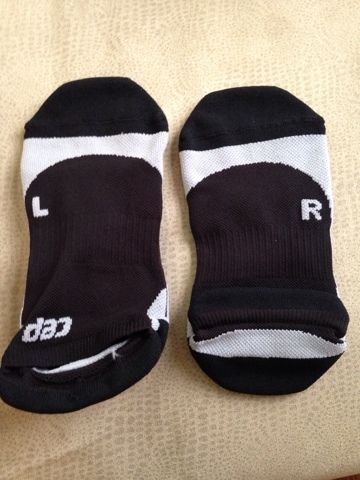 These CEP Dynamic No-Show Compression Socks are pretty much what's missing from the sleeves, namely, the sock! In theory, you could wear these socks and the compression sleeves and let your ankles breathe. They come in male and female varieties in several different colors, although I usually default to black to remain low-key. Okay, so I might have also had an ambition of wearing them to the office, but that hasn't happened yet. They also come in a few different sizes -- after all, if you are going to find a good fit for your foot, there must be some choice in the matter (especially if you have wider feet like me, size up!). 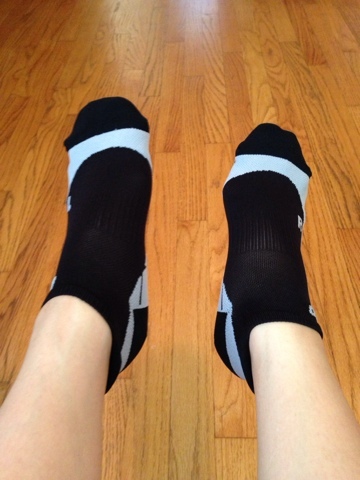 They also are foot specific (left and right) to get the best fit possible. The socks are supportive indeed. I don't have much of an arch, but what I do have needs support. Also, since the sock fits really well, I don't need to worry about blistering as much with these. Also, you won't find little sweaty cotton bits on your foot. It's middle-of-the-road when it comes to thickness, so it's neither too thick nor thin, with just a bit of cushioning. Speaking of compression gear and all that, I'm happy to update that I've still been meeting my exercise goals for now. Although there are still nights that I'm up for an hour or more, overall, setting aside that brief time on most days has helped me feel more balanced, sane, kind, happy, [insert pretty much every other positive feeling in here] and in general has helped me sleep better when I'm given the chance. I can feel myself getting stronger, and I find myself maintaining better eating habits automatically in the process. A little activity is worth its weight in gold! FTC Disclaimer: I was provided a sample of this product but was not otherwise compensated to provide a positive review.